His campaign of slaughter on the battlefield led to his swift consignment to hell. 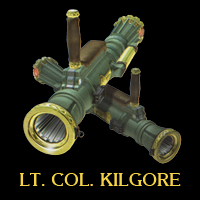 The soul of the Vietnam War mad-man Lt Col. Kilgore now resides in these grenade Launchers, which fire explosive shells with incredible Magic power. yoshesque: Slow but powerful rocket launchers named after the Colonel from the famous 1979 epic war movie Apocalypse Now. I mentioned that there are moves in the 'Limited kicks and punches' Alfheims that don't count? Stepping off with these bad boys equipped on the feet does decent damage and doesn't count. Also if you allow Bayonetta to do her 'too unfit to do more than 5 dodges in a row' pose, she'll set them off, doing decent damage and also not counting as a kick. 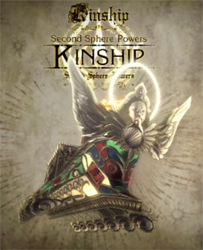 Kinship, as one of the Second Sphere Powers charged with defeating evil beings, is responsible for transporting the forces of Paradiso onto the battlefield. Leading countless angels to the front lines, catching sight of Kinship's magnificent flying appearance is analogous to many as the arrival of true happiness. It is thought that Kinship is the angel's manifestation of the ark that saved a foolish human race from the devastating flood described in The Book of Creation within the scriptures of Ithavoll. Long ago, to protect their homeland from invasion, the Umbra and Lumen came together to develop a giant weapon. Only the Lumen and Umbra knew the secrets to controlling its enormous form, causing it to transform into monsters capable of attacking foes. The Golem, as they called it, would become more powerful in accordance to its master's strength. 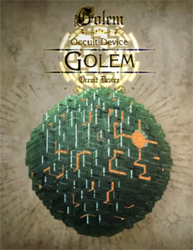 The Golem's control centre is its core, which receives the orders of it's master. It is the weak point of the device; however, no weapon is capable of destroying it. Numerous Golems were constructed in case of war, but were secreted away in another dimension. Now, even 500 years after the two clans' destruction, Golems remain hidden away, still under their master's orders.